We've partnered with Green Scene Mom to bring you this fabulous fall giveaway featuring lots of goodies that are perfect gifts for the upcoming holidays! Each of the sponsoring brands offer niche and innovative products for moms, kids and families to make life simpler, inspire creativity, and encourage natural living. Enter below for the chance to win this amazing prize package! 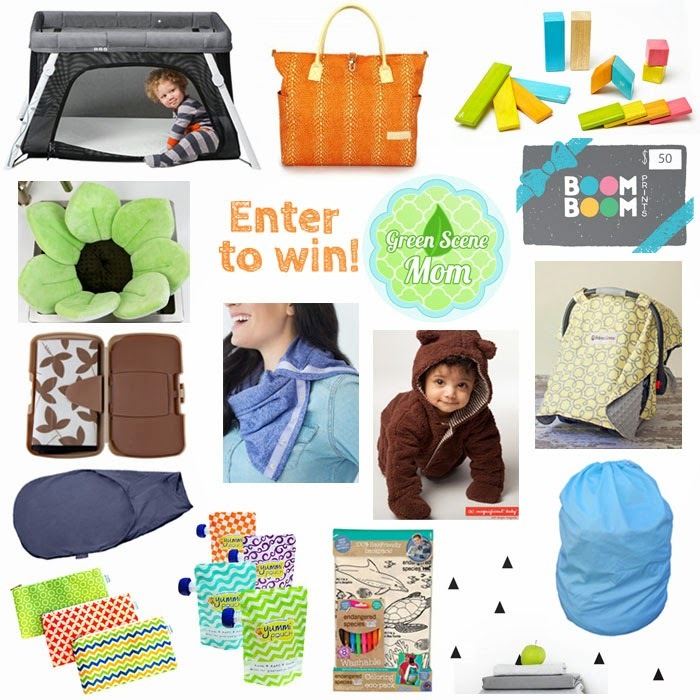 Win some AMAZING swag in the latest giveaway from Green Scene Mom! There's more than $500 in incredible prizes just for baby, including the Lotus Everywhere Crib made by Guava Family, a $249.95 value. This giveaway is open to United States entries who have a US mailing address. This is an awesome giveaway! Too bad I missed it. Love the products that were up for grabs!